The release of The Force Awakens™ Core Set for X-Wing™ marks the introduction of a new golden age for X-Wing Organized Play. X-Wing and its Organized Play program are stronger than ever. They enjoy the support of an amazing, worldwide community of players, many of whom gather to play in leagues or tournaments. 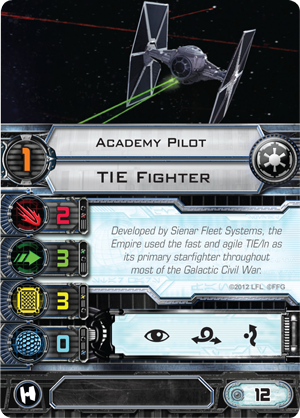 If you’re an X-Wing veteran and you’re hoping to understand what impact The Force Awakens Core Set is bound to have on the game, this article’s for you. In essence, X-Wing remains the same. 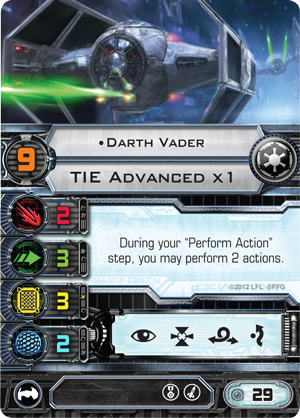 The Force Awakens Core Set does not reboot the game or replace the classic Core Set from 2012; it stands alongside it as another entry point into the game, one set within a different era of the Star Wars universe. As a result, the new Core Rulebook (pdf, 6.6 MB) presents the option of keeping consistent with the events of the films and building a squad of ships and pilot from the same era, or choosing to customize your squad by mixing with ships from the game's other eras and factions. 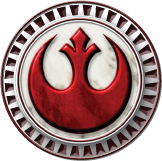 You can pair your Resistance starships and pilots with those of the Rebel Alliance. The Scum faction stands alone, relying upon its notorious blend of mercenaries, pirates, and bounty hunters. 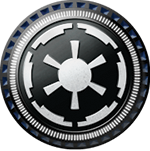 When you build a squad, you affiliate it with one of these groups, and you can utilize any of the ships, ship cards, and upgrades appropriate to it. 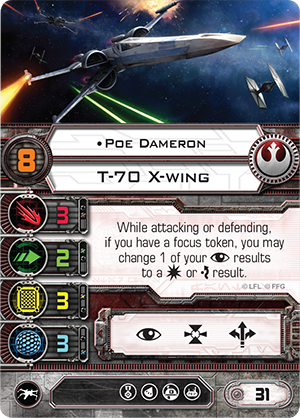 For example, you could fly Poe Dameron alongside Wedge Antilles , and you could even add R2-D2 to Poe’s ship. The second major change, as reflected in the new tournament rules document, is that the new Core Rulebook supersedes that from the classic 2012 Core Set. This is important because there are a few key adjustments to the rules that – while limited in scope – improve the game’s consistency and permit several ships to perform as they were always intended. You’ll find more about these changes in the address from the developers below. 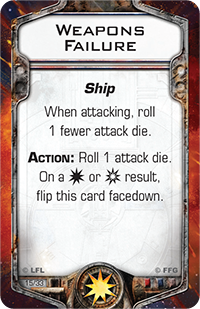 Finally, The Force Awakens Core Set introduces a new damage deck with a card back markedly different from that of the classic 2012 Core Set. While nearly identical to the classic Core Set’s damage deck, this new damage deck features several carefully considered changes, and it will become the required standard for tournament play on January 1, 2016. Again, you’ll find more about these changes in the address from the developers below. The launch of The Force Awakens Core Set gave us an exciting opportunity to make a few small, impactful changes to the game. 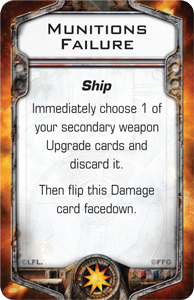 First and foremost among these changes is a revised damage deck. 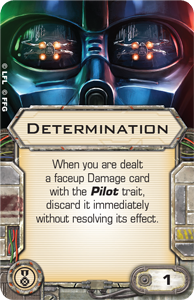 The old damage deck, while fun and functional, had two cards in it that varied far too wildly in their effects: Injured Pilot and Munitions Failure . Depending upon your squad composition, these cards were either totally devastating or effectively blank. 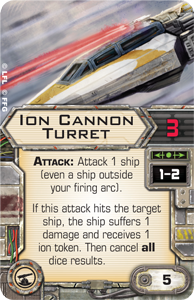 For example, Munitions Failure could single-handedly nullify a HWK-290 upgraded with an Ion Cannon Turret , and Injured Pilot could wipe out your investment in Darth Vader’s unique ability in one painful shot. On the other hand, an Academy Pilot would have nothing to fear from either crit. We believe that critical damage should be devastating no matter what squad you bring, and that players should not be unfairly penalized for choosing to bring unique pilots or specific upgrade cards. Therefore, Injured Pilot has been replaced by Shaken Pilot , a milder and more universal effect, and Munitions Failure has been replaced by Loose Stabilizer , a universally devastating crit. 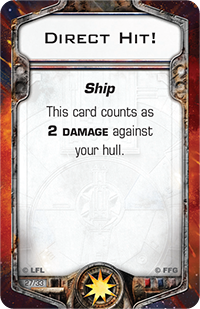 Two other cards have also been replaced: Minor Explosion and Minor Hull Breach . These cards were thought to have too minimal an effect and have been swapped for cards that will have more of an impact. Major Explosion applies a critical damage when triggered, and Major Hull Breach can cause a chain reaction of devastating critical effects if it is not quickly addressed. 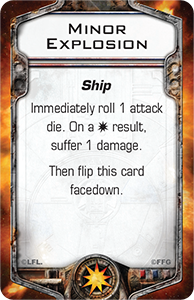 Furthermore, a number of damage cards have retained their basic function but had their language upgraded. 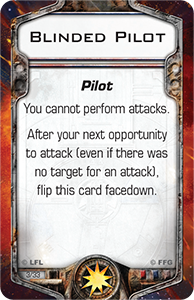 Blinded Pilot no longer requires a ship to make an attack before it is flipped facedown; it’s now flipped facedown after you pass your next opportunity to attack (even if there was no target for an attack). Damaged Sensor Array now applies equally to all actions, and secondary weapons are no longer immune to Weapons Failure . Even as these changes result in better critical effects, it’s important to note that the ratio of the damage deck has been preserved. 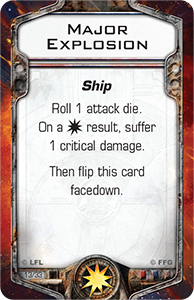 We kept exactly seven Direct Hits in the damage deck, and there are still eight cards with the Pilot trait and twenty-five cards with the Ship trait. 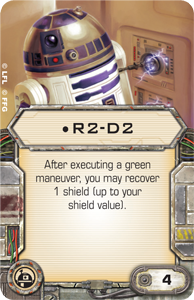 This means that upgrade cards like Determination and Salvaged Astromech will still have the same probability of triggering. 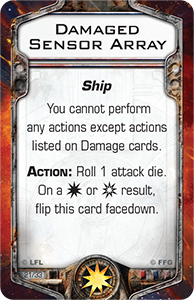 The Force Awakens Core Set also introduces a comprehensive Rules Reference (pdf, 2.6 MB), which gave us a chance to clean up and improve the rules of play. There are too many updates for a full overview, so I’ll simply focus on the most significant tweaks: acquiring a target lock, and the revised Activation phase. 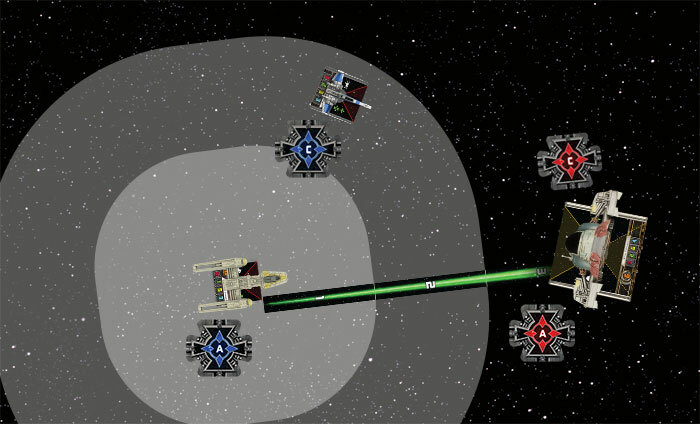 Previously, a ship could only remove its target lock if it spent its lock or acquired a target lock on a different ship. Among other things, this meant ships were prohibited from re-acquiring a target lock on a ship on which they already had a target lock. This led to some unfortunate rules interactions with pilots like “Dutch” Vander and Captain Kagi . “Dutch” Vander, for instance, was unable to re-acquire target locks on ships he had already locked and, therefore, limited in his ability to empower his squadmates. 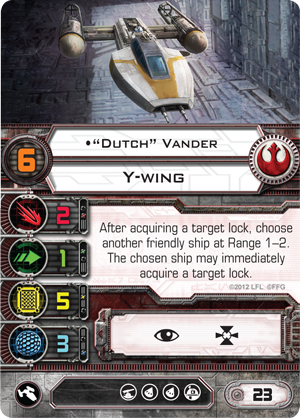 Because of the change to the rules for acquiring a target lock, “Dutch” Vander remains a powerful wingman, even when your opponent’s squadron is down to just one ship. 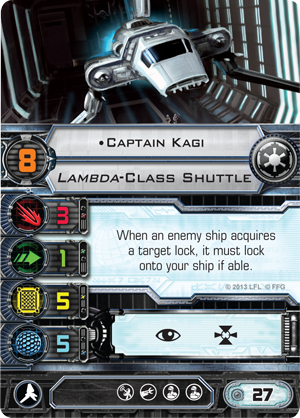 Meanwhile, Captain Kagi found his powerful ability undercut by the fact that ships who had already locked onto Kagi were then free to acquire new locks on different ships. 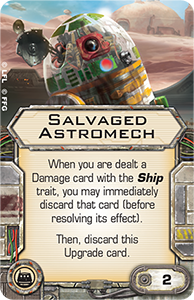 In the new ruleset, ships are free to re-acquire target locks on ships they already have locked — good news for “Dutch” and Captain Kagi! In the old rulebook, the Activation phase contained an unintended glitch thanks to the placement of the Check Pilot Stress step after the Execute Maneuver step. This resulted in a number of unfortunate interactions because ships with stress tokens that performed green maneuvers did not remove their stress as part of the Executing Maneuver step. 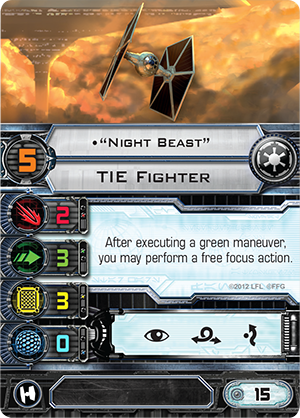 For instance, if he started the round stressed, the TIE fighter pilot “Night Beast” was unable to use his pilot ability after performing a green maneuver because the timing window for his ability occurred before the stress was removed in the Check Pilot Stress step. Additionally, upgrade cards like the Dauntless Title could abuse this glitch. 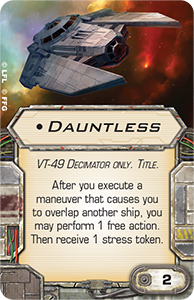 A VT-49 Decimator equipped with Dauntless could execute a green maneuver, collide with an enemy ship, perform its free action, and acquire a stress token. Then it would remove that stress token in the Check Pilot Stress step! 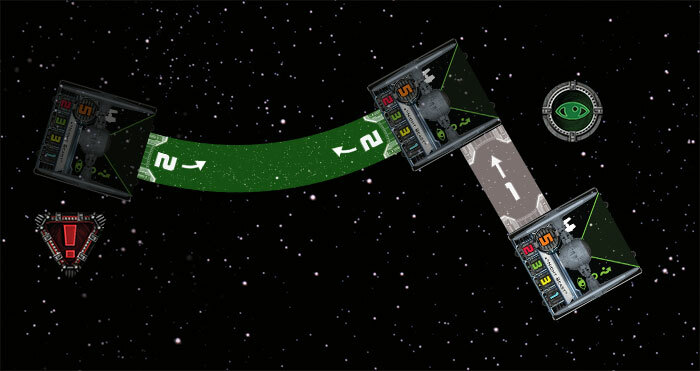 Now that the Check Pilot Stress step of the Activation phase has been folded into the Execute Maneuver step, “Night Beast” will immediately clear his stress after executing a green maneuver and can then immediately perform a focus action before performing another action, such as a barrel roll. We fixed these interactions by folding the Check Pilot Stress step into the Execute Maneuver step, thereby making the whole process more intuitive. 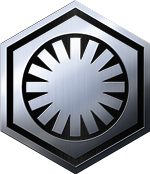 The changes introduced with The Force Awakens Core Set do not result in a seismic shift. X-Wing is still the same game, just cleaned up, streamlined, and updated with a comprehensive Rules Reference. Many of these interactions are quite subtle and are likely only to impact players competing at the very top tier, who have learned to master the rules and all their minutiae. Meanwhile, certain pilots who were sidelined due to quirks in the original ruleset will get a new lease on life, and ships like the HWK-290 and the M3-A Scyk fighter will no longer have to fear the dreaded Munitions Failure. 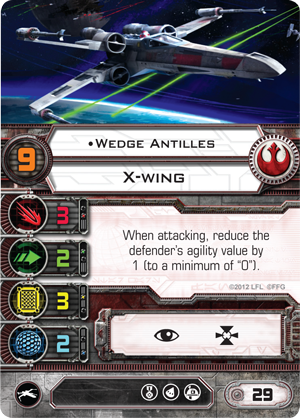 You can find the new X-Wing core rulebook, rules reference, and tournament rules documents available among the game’s support files. Familiarize yourself with these manuals, then strap yourself into the cockpit of a T-70 X-wing or a TIE/fo fighter, and go fight for the fate of the galaxy!